High time for a baby update, right? 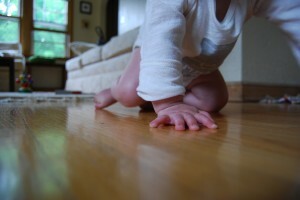 Lil bot is nine months old now and has just started crawling. She also likes to help out whenever possible. 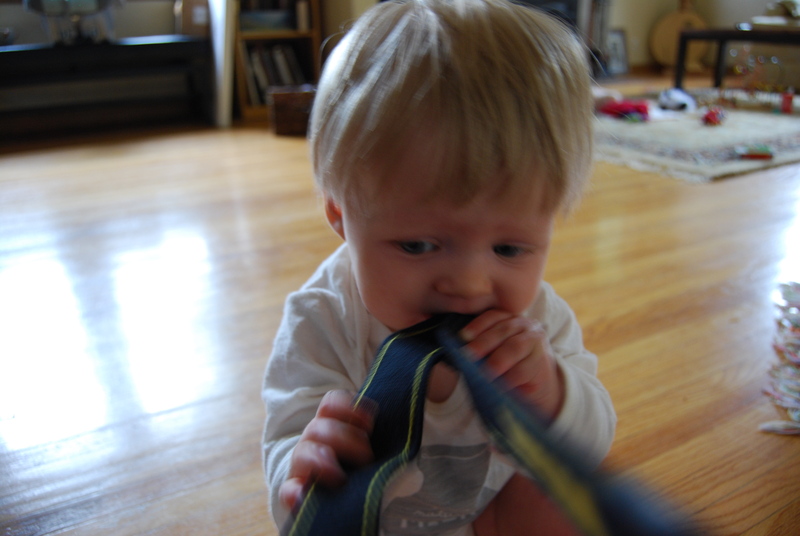 This entry was posted in Uncategorized on June 10, 2010 by Jennie. I am glad to hear it! I need to pick up some more of those dipping bowls – I love them and didn’t buy enough at MDSW. I have been trying to take pictures of kittens lately. They all turn out looking like that top one of Lil. Lots of motion, very little face. Yet entirely adorable. Oh, they chew a lot, too. I seem to have lost your online shop…HELP!